Some Peek in the Stacks blog posts are authored by CSUN students who work in Special Collections and Archives in the Oviatt Library. This week's post was written by Deana Garcia. Deana is an English major in her junior year, currently pursuing a single subject teaching credential in English. Frank del Olmo was a Los Angeles Times journalist, editorial columnist, and editor who focused on Latin American affairs and the concerns of the local Latino community. The Frank del Olmo Collection documents a wide variety of topics, including the Chicano Student Youth Movement and Chicano Moratorium, discrimination and human rights violations, drugs and gang activity, the incorporation of East Los Angeles, Education, Latinos in American politics, Mexican Americans/Latinos of Los Angeles, Minorities in the press, police brutality, the United Farm Workers Movement, U.S.-Mexico/Latin American relations, and immigration. 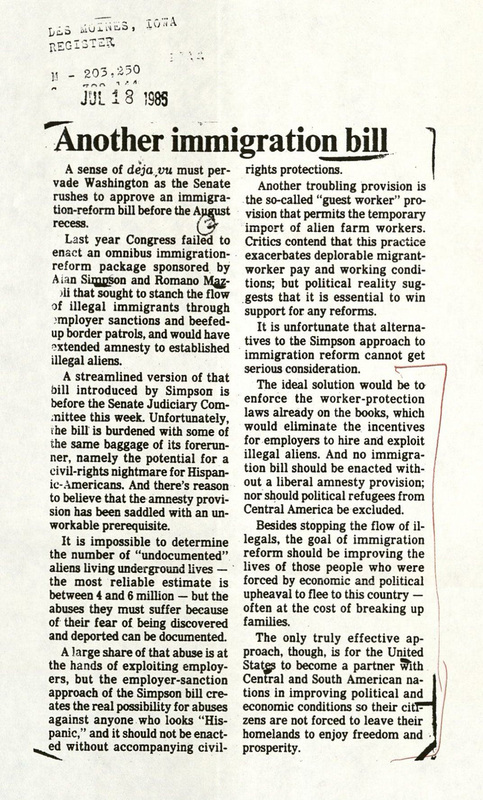 Out of the many contributions Frank del Olmo made while working at the Times, his work on the issue of immigration is one of the most relevant to the current political climate. Del Olmo’s files on immigration issues include material related to corruption in the Immigration and Naturalization Service (INS), border crime, guest worker programs, and immigration legislation and reform movements. 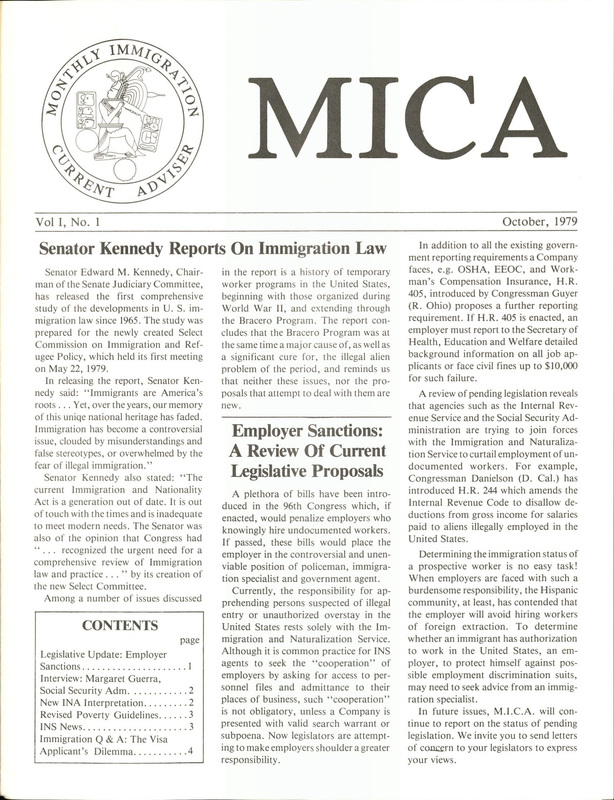 Of particular interest are files which describe and illuminate some the many reasons that immigrants were allowed or refused entry to the United States, and the issues associated with providing services to new immigrants and their families. 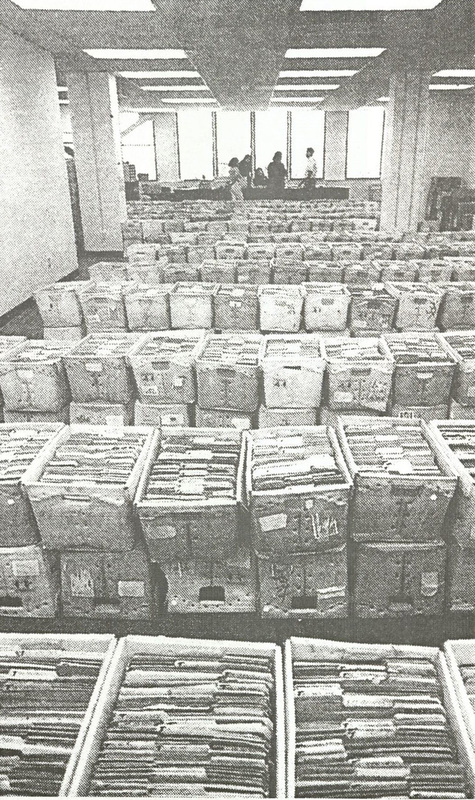 These records include articles, fact sheets, interview notes, maps, memoranda, newspaper clippings, press releases, story proofs, studies, reports and related documents written and collected by del Olmo. Beyond individual items, del Olmo's collection reveals the United States' complicated relationship with immigration in the late 20th century. It provides countless graphs, charts, and tables to help one follow along the decline of funding and resources available to assist new immigrants, images and other records which demonstrate the vast number of backlogged immigration cases, and insights for understanding the reasons immigrants were allowed or refused entry into the United States. A common reason behind denying women immigrants entry was pregnancy. According to newspapers, articles, and other statements in the collection, soon-to-be parents had to meet several deadlines in order to give birth in the United States. Several documents share how an ultimatum were eventually presented to expecting parents if they did not meet the qualifications and paperwork deadlines. 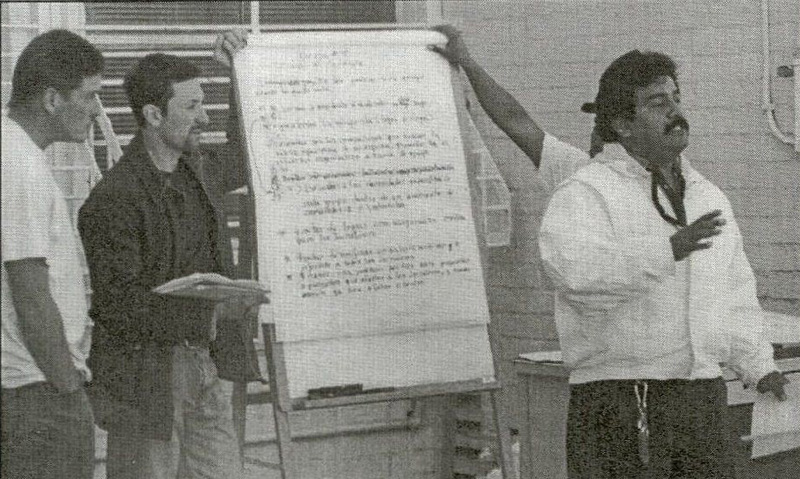 The collection also documents American views on legal and illegal immigration over del Olmo's career, and how schools struggled to keep up with the demands of incoming immigrant students. 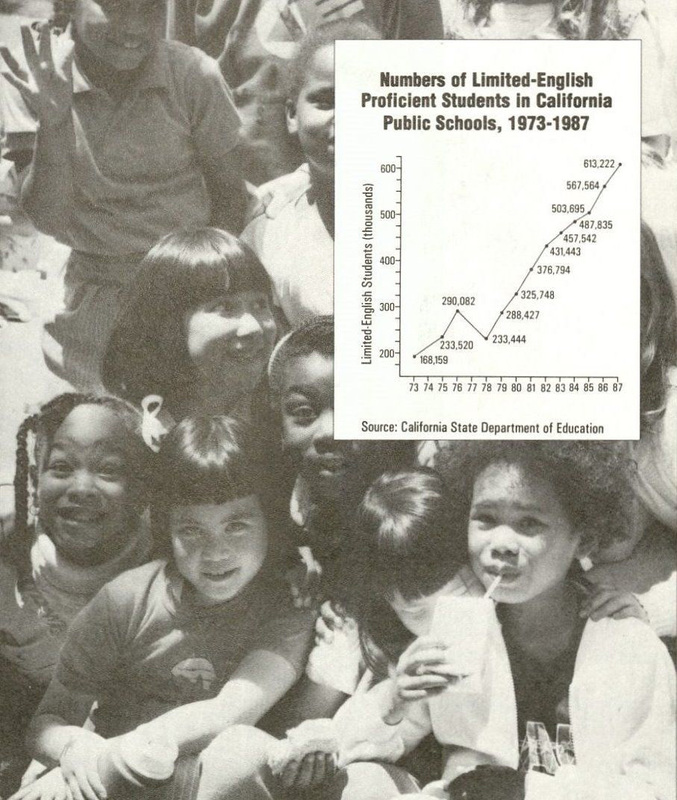 Whether it be assigning the wrong grade level, failing to smoothly incorporate diverse cultures, and or simply rushing students in and out of ESL programs, the transition was too much for many public schools. 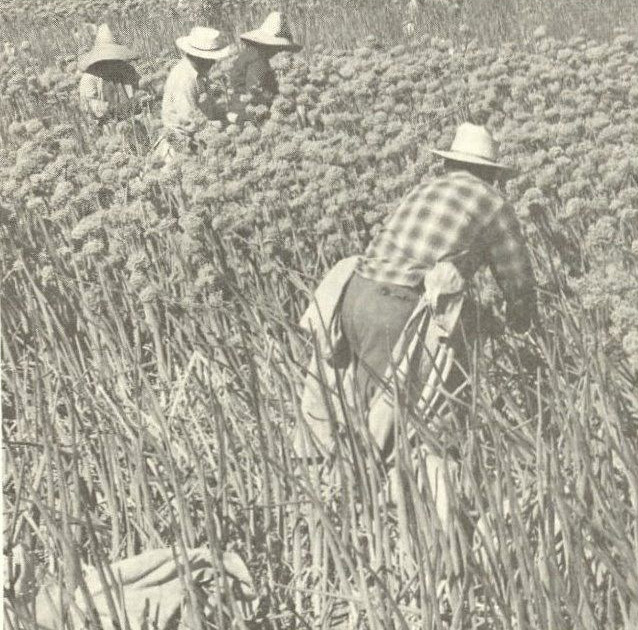 Materials in the collection also reveal how accepting immigrants was a challenge to the labor market and current labor laws.